Charles Djou has kept a low profile since finishing out Abercrombie's House seat which is good for his try for HI-01 in 2014. If people knew he follows Paul Ryan's obstructive methods of reducing taxes on the 1% and gutting government programs, he might not be so attractive. "Djou has unleashed a constant stream of criticism and rhetoric about reducing City spending. Some of his points may sound impressive to residents concerned about property taxes and other expenses. But, when all is said and done, it's just empty posturing that accomplishes nothing. No spending cuts, no tax relief, no streamlined government. Nothing but a political resume that can claim opposition to spending taxpayers' money - even when spending is necessary." "But it could be a problem if it means he has to follow the Rush Limbaugh playbook the national GOP seems to be using; running on strident attacks against President Barack Obama is unlikely to win in Hawai'i." Djou says he will "never evolve" on the issue of marriage equality and that marriage should only be between one man and one woman. Djou consistently votes with Big Oil, Big Pharma and Wall Street. See these bad votes. Sponsored Bill to Lower Tax Rate on 1% : Decrease the top marginal corporate rate. 2nd Most "Overrated" Politician in Hawaii: 2nd to Linda Lingle as being ineffective in office by the Star-Bulletin. In 2002 during the recession caused by 9/11, Governor Ben Cayetano said state House Republicans, lead by Djou, were engaged in “one of the most irresponsible politically charged acts that I've witnessed in the many years.” The state wanted to use the hurricane relief fund to balance the budget and Djou claimed, "it should be returned to the people...Hawaii government is too big and its size should be dramatically reduced." In 2003, Djou offered a proposal to avoid a real property tax rate increase by cutting $24 million from the city's operational expenses. Mayor Jeremy Harris called it unrealistic and irresponsible. According to projections by Harris' administration, Djou's proposed budget amendments would shave between 10 percent and 75 percent from various city departments' operational budgets and wreak havoc on public safety and other services. On Djou's 2003 proposal to cut $24 million from Honolulu's operating budget, the Honolulu Advertiser said, "the trims do not make good management sense...city operations should not be brought to their knees simply to make a political point." The Honolulu Advertiser says this about Djou's spending cap legislation (similar to the Federal Sequester) "The specifics of his bills could cause more problems than they solve." They noted that Honolulu spending has gone up from fixed costs, not increases in spending. "neither of these two capping mechanisms meets the test of reality." 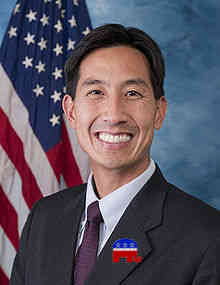 Djou went on a $2,552.95 trip to New York City at the expense of the American Legislative Exchange Council (ALEC) in 2001. ALEC is the discredited right wing organization which has pushed "Stand Your Ground" gun laws and laws to erode unions and workers' rights including opposing any increase in Minimum Wage. It creates "model legislation" to benefit multinational corporations and pushes states to adopt them. Djou is supported by Paul Ryan's American Prosperity PAC which is dedicated to obstructing everything Obama does except go to war. Additionally it advocates privatizing Social Security and Medicare. Djou is also supported by John Boehner's The Freedom Project PAC dedicated to Boehner's goals including shutting down the government, privatizing Social Security and Medicare, opposing immigration reform, and repealing the Affordable Care Act. It is heavily supported by Insurance and Pharmaceutical corporations. Djou is supported by the Koch Brothers and the gambling industry through the Conservative Opportunity Leadership & Enterprise PAC (COLE) and the John S. fund which is heavy with Pharma and Chemical donors.